Time to bring this to the crowd. 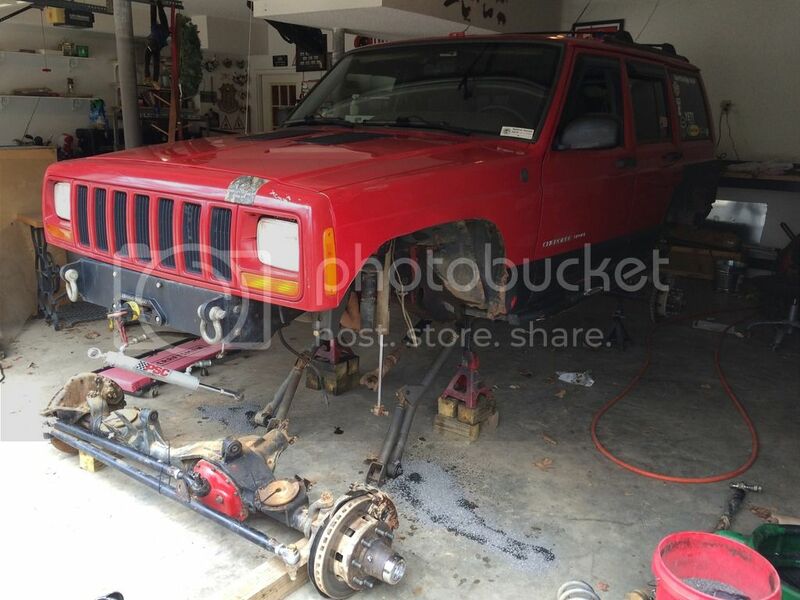 Taking my Jeep under the knife yet again. So a little background. 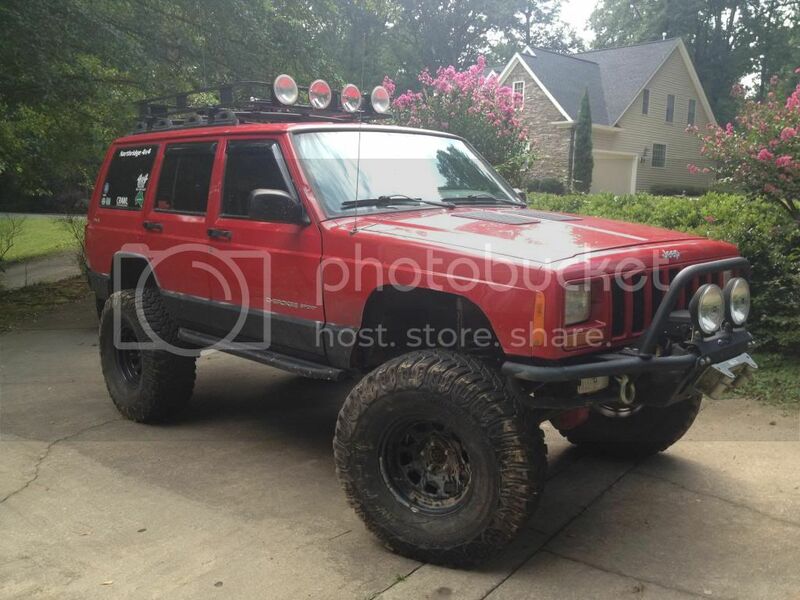 Bought this Jeep back in 2010 with a small lift and some Rubis. Did the usually early Jeeper build and daily drove it till couple years ago. Once it wasn't my DD anymore I did my first big mods. Stretched it to 106", swapped the axles for a D60/D44 combo and went with 37s. Wheeled it a little while and realized the Dana 44 wasn't going to cut it anymore. With that realization its time to complete my 1 ton swap with a HP60 and ofcourse 1 tons aren't complete without some 40s so i guess that will come too. 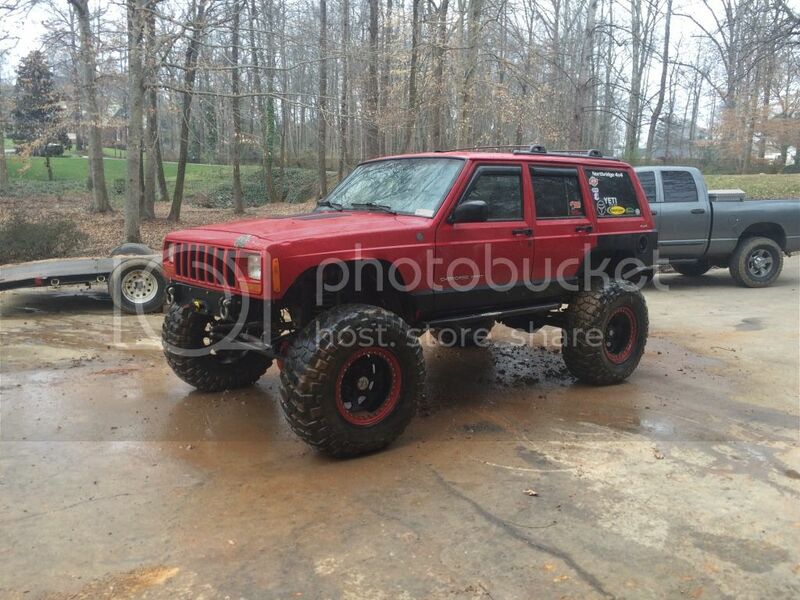 That looks like a solid XJ. Tell me, do you get crazy, uncontrollable wheel hop with the radius arms? I mean, when you spin the front tires, do they stay planted, or do they start bouncing? What springs and shocks are you running? Not too terribly bad, most of the time I barely notice it but i see it happening watching videos after the fact. Im running RC 4.5 coils with a 1.75" spacer and Skyjacker M95s for shocks. This set up works great for me, main reason why I haven't messed with it. But i may end up lowering it with the new axle and/or adding in a passenger side full upper for a 3 link keeping my lowers. Sounds good.. As far as radius arms go I think they are fine at a lower cog, you shouldn't have problems. Nice similar to my front axle..
Last edited by clean4drxj; February 13th, 2016 at 08:20. You said you've been breaking hubs and a stub axle but no inner axles hun? The heavy duty Ford 44 has bigger axles that taper down near the spline! So it basically looks like an hour glass (weak point). If the axles are cut and shorten then this section is removed! If not then I do not see how the hub or stub is breaking unless there is throttle pedal malfunction. The 60 hubs will have problems with the 40's if the throttle pedal malfunction continues. I've run 36-37 as wide as 15.50''s wide and broke one inner with a built V8 in 20 years and never on the Hammers. I went to a Chrome Currie inner. My point is that the 44 is well proven maybe it's not the axle or hubs. Your going to have to modify your driving or just go big from the start with RCV's and hub plugs! Any way kudos on the front 60 it will look killer too! I understand what you're saying. Im running full yukon chromos with superjoints. in the time I've owns this axle I have broken 1 stock stub, 2 chromo stubs and twisted the splines on 1 inner chromo as for shafts. Id have to say I've broke 4 or 5 locking hubs. And yes I do have a skinny pedal problem haha As for the 60 it will eventually have full 35 spline inners and outers along with super joints and drive flanges so it should handle 40s just fine. Iirc Yukon 44 shafts fail at approx. 5,800 lb/ft, stock Dana 60's at 6,500 and Yukon 60 at 12k? Factor in smaller tubes, r&p, bearings, hubs, etc and a Dana 44 is far weaker than the 60 no matter how built it is. I've had a 44 with RCV's, next time I'm going right to a 60. Even with the RCV shafts I had a good amount of problems on 37s. Thanks for all the 60! I never said the 44 was stronger or just as good, that wasn't the point. The point was his skinny pedal problem!! I never said a 44 was stronger! I have a 9'' front and rear with 35 spline locked and geared with a doubler set up as I said 20 years without a break, good maintenance and a spacer under my skinny pedal. It was not criticism on him it was an observation and a pointer on axle life! He will be happy with the 60's regardless of RCV's or chromes but he'll need them if his driving habit does not alter. 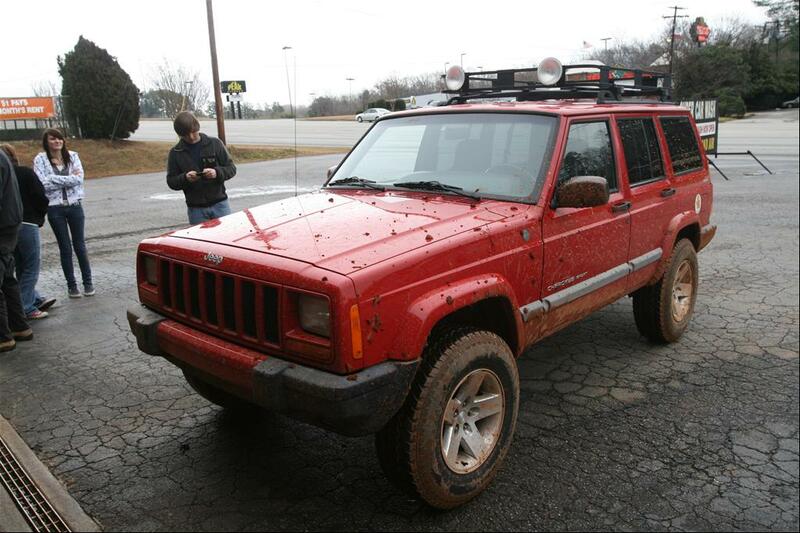 When I posted the post it was a subtle observation for a good looking XJ with no insult intended, THAT was my point!